Last night was the primere of American Idol Season 12. It was really uhmmm interesting… The fights between Mariah and Nicki Manaj got very intense at times. Actually the fights were very immature and actually seemed fake! And the comments that came out of Nicki’s mouth, O M G (As I quote Nicki).I could barely watch it last night because of the comments and how Nicki Manaj acted. I think this season is the biggest joke ever because of Nicki Manaj. I am a fan of Nicki’s music and personality, she seems very sweet but seriously? She has so much energy and kind of seems fake a lot of the time… I don’t think she should of been on the panel to be honest. Keith Urban is AMAZING he deserves to be there, Mariah Carrey was big in the day and I accept her on the panel and of course I would accept Randy Jackson. I just don’t understand why Nicki Manaj is there. Heck, she hasn’t really experienced a lot in her music career to give guidance to any of the contestants. 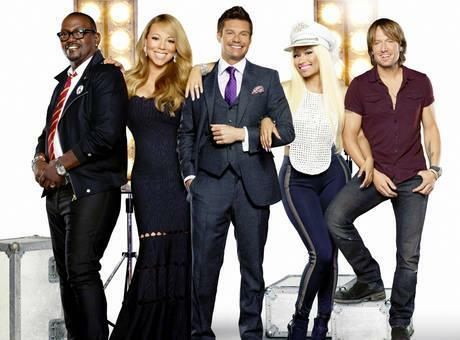 I’m counting down the days till X factor begins again because American Idol is just going down hill. Next Next post: I’m a Teen, I’m a Guy, and I’m New at Blogging.